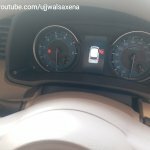 YouTube user Ujjwal Saxena has shared live images of the 2018 Maruti Ertiga LXi with IAB, to show how the MPV's most basic equipment line looks like in person. Below is the image gallery of this entry-level offering. Last week, the same YouTube user had posted a walkaround video of the VDi grade. 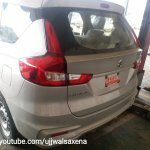 The uploader refers to the V trim level of the 2018 Maruti Ertiga as the 'Value for Money' variant. 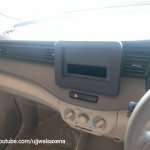 This is due to the fact that the mid-tier trim offers a number of convenience and comfort enhancing features available on the Z-trim while retailing at a significantly lower price point. The VXi and the VDi models of the new-gen MPV are on sale for INR 8.16 lakh and INR 9.56 lakh, respectively. 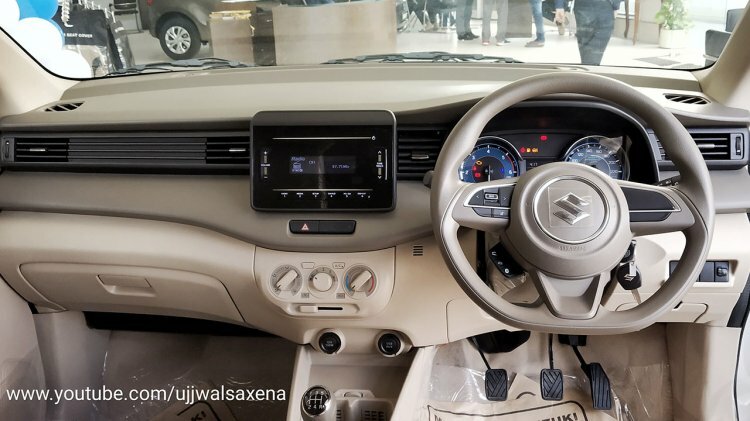 In comparison, the Z-level variants cost INR 8.99 lakh and INR 10.39 lakh for the petrol and diesel models. While the Z-trim level offers a faux wood trim, automatic climate control, and push-button start, the V-spec models are devoid of these to keep the costs under a check. 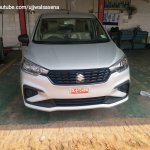 The 2018 Maruti Ertiga was launched on 21 November and is on sale in a price bracket of INR 7.44 lakh to INR 10.90 lakh. The new model is available in two engine options - 1.5-litre K15B 105 PS/138 Nm and 1.3-litre D13A 90 PS/200 Nm. The second-generation of the Swift-based MPV is 99 mm longer, 40 mm wider, and 5 mm taller than its predecessor, while its wheelbase, at 2,740 mm, remains unchanged.